The Kytun Slate Dry Verge was used on a PH Homes project in Macclesfield, Cheshire in conjunction with Liberty Roofing. This is one of the most anticipated developments by PH Properties and was designed by renowned classical architect Robert Adam. The unique and innovative Kytun Dry Verge solution was included throughout the houses in this development. The project is a high-end development at Alderley Park consisting of 37 new homes with access and landscaping as standard. Along with this, there will be new internal roads, boundary treatments and associated landscaping/infrastructure. 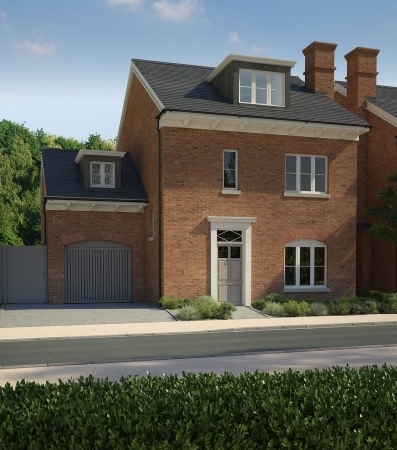 This exclusive residential development offers three distinct styles of residency in a collection of homes, beautifully designed by internationally renowned architect Robert Adam and beautifully created by luxury developer PH Homes. The Kytun specification team worked with the local outlet of Burton Roofing (Stockport) to ensure prompt and efficient delivery to the client. Kytun Slate Dry Verge is an ideal solution as it provides complete protection from rain and wind uplift. The patented 'Drip System’ means that self-drainage of rain water into the gutter takes place. This product is available in aluminium with a 30-year durability and 20-year colouring warranty and in steel with a 20-year durability and colour warranty. They are manufactured to stand the test of time. Alderley Park is a unique location and one of Manchester’s most desirable, within minutes of Cheshire’s social HUB, Alderley Edge. We supplied our client, Keepmoat Homes, a large order of Slate Dry Verge T2 for a large residential housing development in Edinburgh. 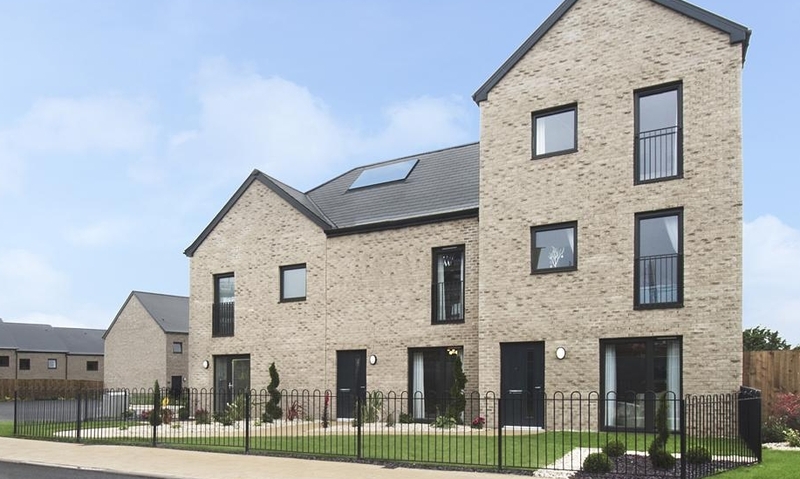 This was the ideal product for the project as Keepmoat required a slate-friendly solution that will withstand high wind speeds and a high volume of rainfall without compromising on durability. The product was supplied via our partners at Rinus to Town and Country Roofing. The project is being completed for the Council of Edinburgh and will provide a large number of residential housing units at Calder Road in North Sighthill when finished. Along with housing, there will also be associated works of car parks and landscaping works. Keepmoat is one of the largest residential building developers in the UK. 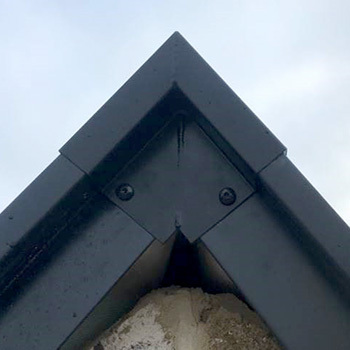 We provided our Aluminium Slate Dry Verge (T2) in black. Kytun is the largest manufacturer of Continuous Dry Verge Systems globally. We will be showcasing our range of Premium Aluminium Roofing Products at UK Construction Week in Birmingham from October 9-11. Drop by Stand B860 to view the range and speak with one of our Sales Team regarding your upcoming projects. The role of Technical Specification Manager (TSM) will see you winning specifications for our Kytun Dry Roofing products through conducting Continual Personal Development (CPD) seminars and developing relationships, your aim will be to identify upcoming projects with the architects on your patch. You will need to create relationships with key architects, consultants and contractors to understand the upcoming pipeline of projects by becoming their consultant of choice. To create and track specifications from origination through to products purchased, managing price and customer relations throughout the process. This is a sales targeted position reporting directly to the Commercial Manager. Improve awareness of Kytun Dry Roofing Products throughout target area. Identify key architects/contractors/property developers throughout target area. Identify large projects/developments being undertaken in targeted area. Visiting Architects/ Contractors & various merchants to help specify Kytun Dry Roofing Products. Demonstrating at building & roofing merchants new product release days. Increase sales opportunities in the assigned sales area. Undertake pre order meetings as and when required. Monitor and report on activities and provide relevant information to Commercial Manager and Directors. Meet targets and KPIs, as set out by Commercial Manager/National Sales Manager. Proactively develop new business opportunities in your territory. Develop strong and professional customer relationships. Develop and maintain a high level of product knowledge for Kytun Dry Roofing products and competitor products. We are looking for a salesperson to strengthen our wolf pack & have a slot available for those made of the right stuff, sheep need not apply. Kytun UK Sales Manager, Pauric Hilferty, with Chris Messenger, Roofing & Tiling Lecturer and his students at the LCB (Leeds College of Building). Kytun Dry Roofing Products are delighted to announce that they have now partnered with LCB (Leeds College of Building) Roofing Students. 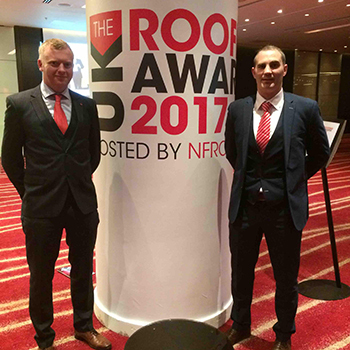 Kytun is the largest manufacturer of Dry roofing products in Ireland & the UK with over 30 years’ experience in this market. Kytun will be bringing their team of roofing experts to educate the enthusiastic Roofing Apprentices on the best practices for dry fixing and in particular Slate Dry Verge Fixing. Currently BS 5534 is the relevant British Standard for dry fixing. It is expected BS 8612 will soon be put in place with particular emphasis on the mechanical fixing of verges, ridges and hips.. As such the introduction of Dry Fixing training shows Leeds College of Roofing & Building continuing commitment to remain at the cutting edge of training. 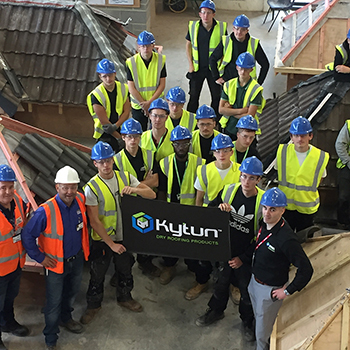 Kytun UK Sales Manager Pauric Hilferty said 'it’s a great endorsement for us here at Kytun Dry Roofing Products to be selected to train the students in this new method of dry fixing and we look forward to developing our relationship further with Leeds College’. Chris Messenger Roofing & Tiling Lecturer; 'This is fantastic news for us here at Leeds College the Roofing Apprentice will be trained to the highest level and this ensures the apprentices will be learning from top professionals in this section'. 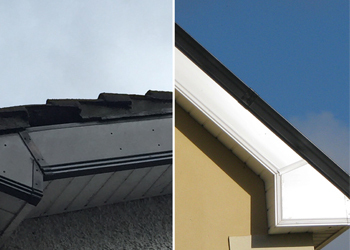 The verge on a roof is probably the most vulnerable part due to its exposure to wind and water penetration. Traditionally the most common practice way of protecting this is by filling the gap between the wall and roof with wet mortar. This however, is now a rare occurrence as mortar as we know expands, shrinks, cracks and falls out after a number of years thus leaving the verge once again exposed to the elements. Mortar also acts like a big sponge soaking water into the roof space. Having an exposed verge leads to water entering and rotting the ends of the battens and weakening the integrity of the roof. Even when using mortar as a solution it doesn’t do one very important aspect and that is securing the slates in place and protecting them for being blown off in high winds. All it takes is just one slate coming loose then a domino effect takes place with multiple slates braking loose. In Ireland, 90% of roofs are secured in place using a Dry Verge System, in Scotland its 80%, yet in England and Wales this figure falls dramtically to around 20%. With changes to regulations BS5534 code of practice for slating and tiling slate and tile verges, roofers must adapt and change to using a Dry Verges System rather than the using traditional methods.